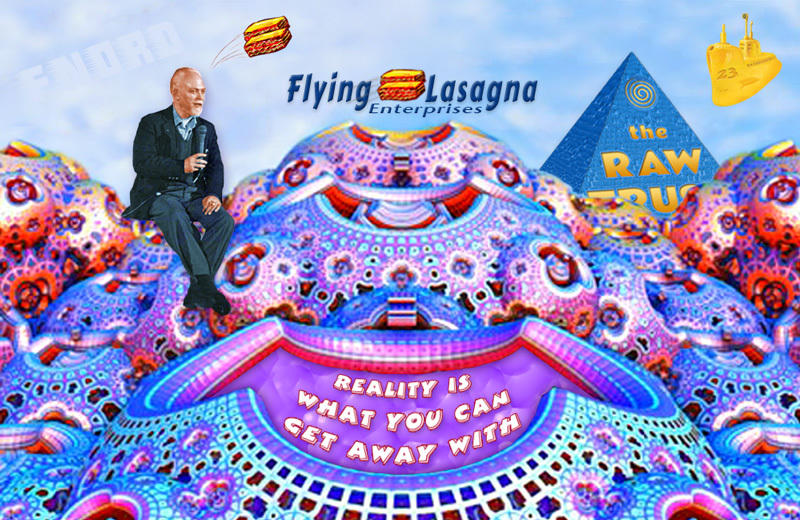 Flying Lasagna Enterprises has launched our opening pasta in the form of two online shops featuring designs inspired by Robert Anton Wilson. Bob had a CafePress shop for years that was first created around 2002 by Patrick Farley. 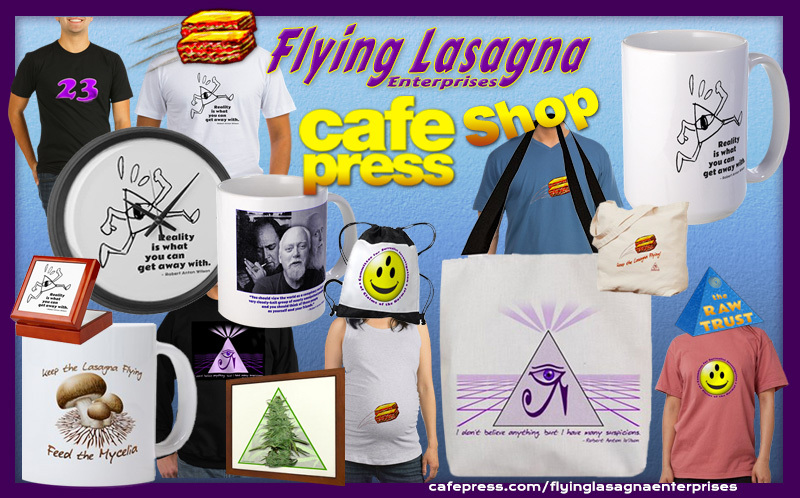 In honor of that first shop, and because we are familiar with the interface, we created a Flying Lasagna Cafe Press Shop. And then CafePress started acting wonky. All the products we created seemed fine, but our store front wasn’t displaying all the graphics! We still like the shop, so take a look and hopefully CafePress will find their digital fortitude. 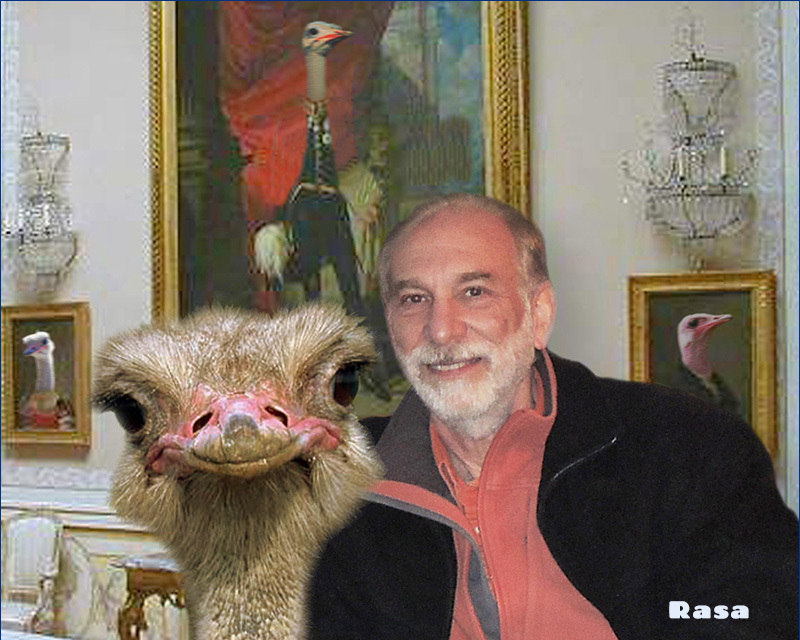 Just in case CafePress totally implodes, we decided to jump over to Zazzle, and build a shop there. It turns out that creating Zazzle shops are incredibly time-consuming. 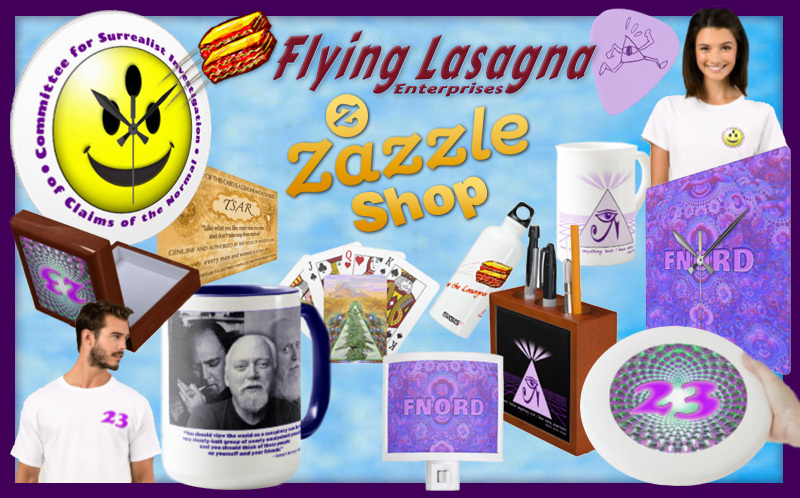 Check out the new Flying Lasagna Zazzle Shop, but realize we are slowly building the products! CafePress and Zazzle have some overlap in products, but there are some unique items in each. CafePress products are quite good, we know from experience. We have heard good things about Zazzle product quality, so we’re looking forward to getting some goodies for ourselves! Enjoy your guerrilla ontological shopping! The idea for starting an improbably named business such as Flying Lasagna Enterprises began with Bob’s spiral ring. 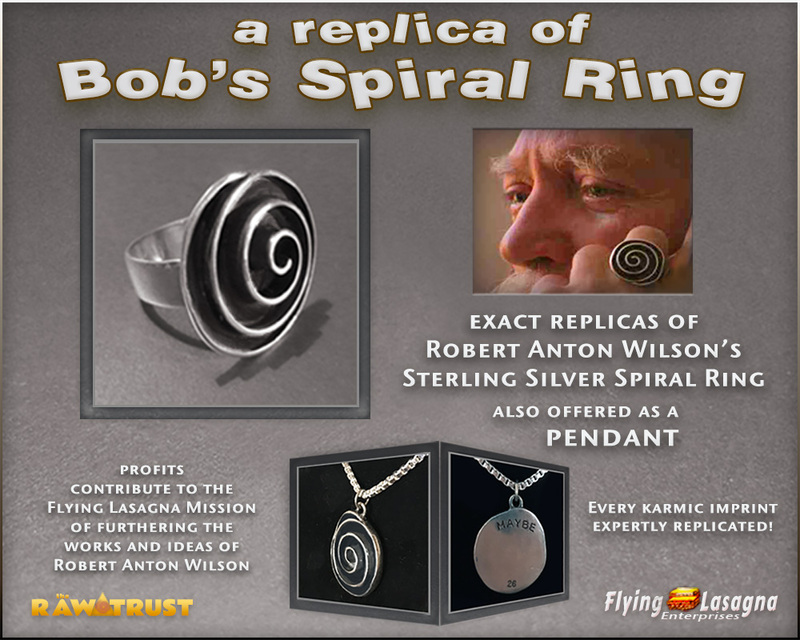 We had the idea to make copies of Bob’s iconic ring available to RAW fans, and now replicas are available as both a ring and a pendant! We’re really excited about this little guy. 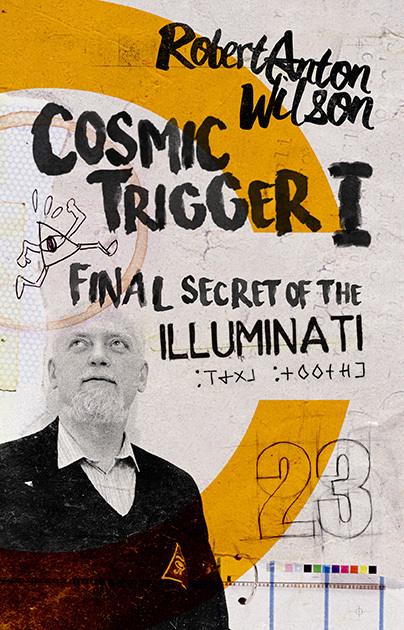 You can see Lumi on the cover of the new Hilaritas Press edition of RAW’s Cosmic Trigger, Final Secret of the Illuminati, and running around here and there on the RAW Trust websites. 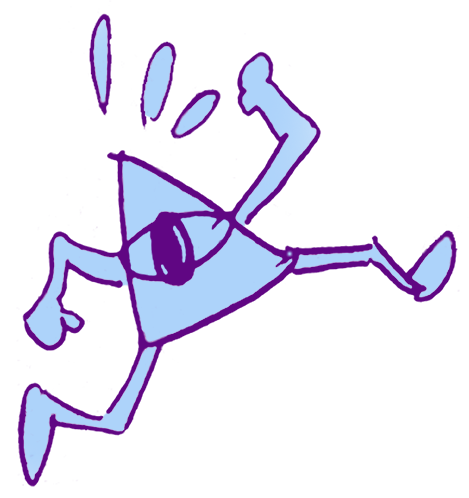 That little running eye-in-the-pyramid looked familiar to me, but I couldn’t place where I had seen it before. 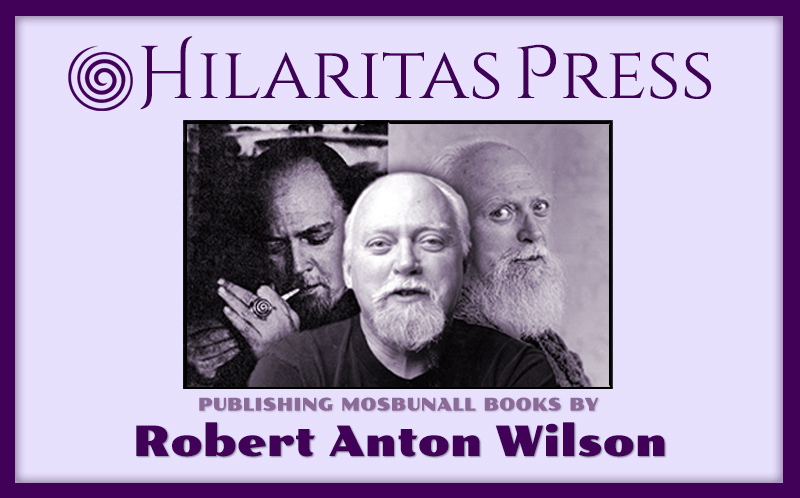 As Metaprogramming Director of the RAW Trust, I asked Hilaritas Press book cover artist Fearless Scott McPherson about where he got the little guy, and could we have permission to use it? He said, “Uh, sure you can use it. 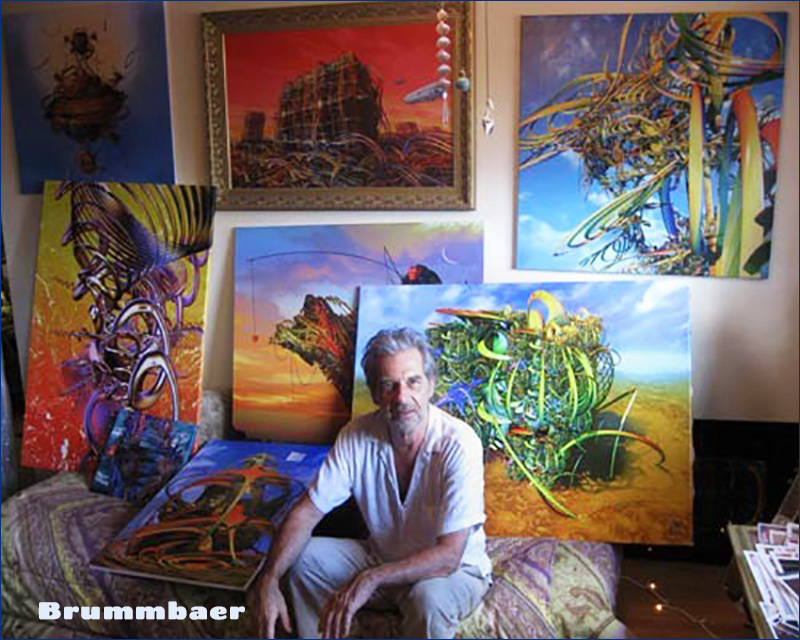 It belongs to you.” It turns out he saw the drawing in a letter that Bob had written to Ken Campbell, director of the 1977 play Illuminatus!. Bob had drawn the little running pyramid at the bottom of the letter! 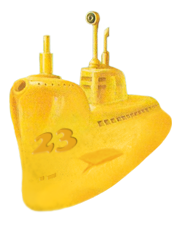 You can find Bob’s Lumi on a number of the products at our CafePress and ZazzleShop stores. 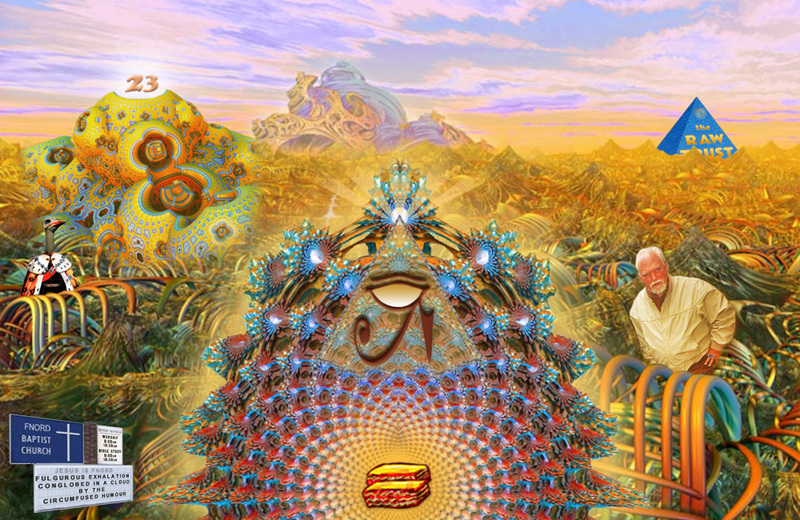 Read more about Lumi on our About page.